Only defective/damaged products will be accepted for replacement/refunds. AC MahaBazaar retains the rights to examine whether the product returned is defective/damaged and based on the verification AC MahaBazaar will either reship/replace the product to the customer. In case product is defective or damaged then the AC MahaBazaar team will replace and reship the product to the same shipping address of the customer subject to the availability of the stock of the product. 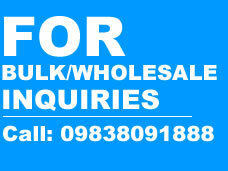 Products & warranty by 3rd Party Vendors. Brands, Logos, Creative’s, Trademarks, and Copyrights are owned by their respective owners. 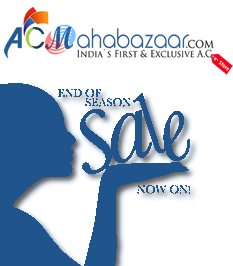 AC MahaBazaar disclaims liability for violation of any 3rd party rights. Refund will be processed via the channel used to make payment and in case of FULL refund 3.5% will be deducted towards payment gateway charges.